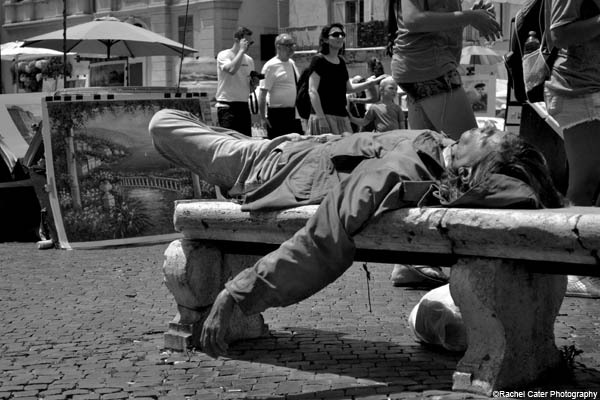 I took this photo in Rome, Italy in a crowded tourist area. I was struck by the homeless man sleeping on bench and no one seemed to even see him at all. It was kind of like he was invisible. I love travelling and seeing new places. But, I do find it really sad when you see people who are down on their luck or have hit on hard times. This is a good reminder to try to be kind. No matter where you go, we are all human and just trying to get by.